"I worked with Husanes on behalf of a mutual overseas client to secure a high quality office building on one of the Northwest’s premier Business Parks. The Title was complex and the vendor was also based overseas. Husanes cut through the complexities efficiently and quickly to accelerate the transaction which concluded swiftly to match the clients desired timetable." “Ajmal acted for one of our faith based Charity clients on a number of property matters. He was very thorough and conscientious and dealt with some challenging property issues in a very professional and pragmatic way”. "I have worked with Ajmal for a number of years on property matters for a charity client. I always found his advice sound and sensitive to the needs of the client." 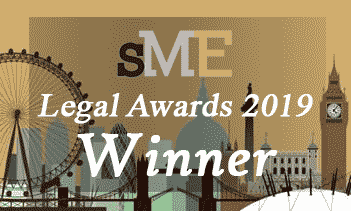 HUSANES LLP are delighted to have won two awards in the SME Legal Awards 2019 - they are truly a recognition of our clients’ trust in us. As a small firm we strive to maintain the highest level of client care and satisfaction by combining the big firm expertise with the small firm flexibility and cost efficiency - offering the best of two worlds! To have won the Title of Best Commercial Real Estate Law Firm 2019 – London and also Recognised Leaders in Commercial Litigation 2019 –London shows that ‘small’ can also be successful. We would like to dedicate the awards to all clients and professional contacts who have supported us and continue to do so. To view the SME Supplement and list of winners, click here. HUSANES LLP is a local firm with a global reach! 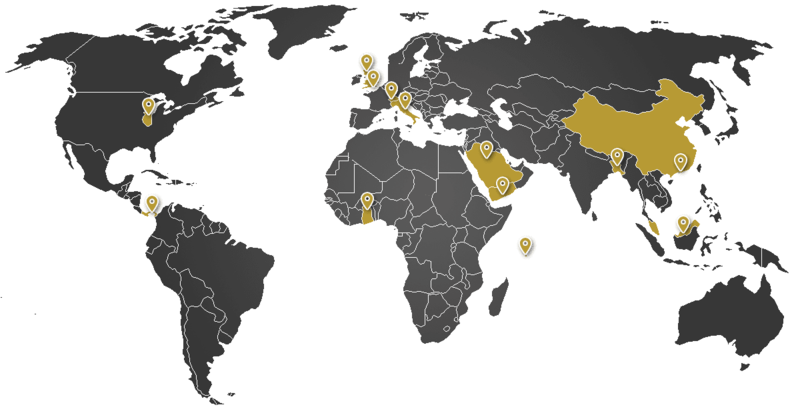 Though based in London, the Firm currently acts (and its founding partner in the past) for clients either based abroad or in matters involving assets based abroad. In addition, the Firm now has co-operation agreements with other law firms, currently in Dhaka (Bangladesh) and Riyadh (KSA) whilst it continues its efforts to expand this network. HUSANES LLP is founded on legal expertise acquired over many years. The experience on offer is both varied and comprehensive, crossing many different work areas and truly combining legal knowledge with practical ‘know how’ to give its clients that added reassurance and confidence, in all aspects of the Firm’s work. Below is a small selection of the work carried out by the Founding Partner over the years……..
HUSANES LLP is registered with and regulated by the Solicitor’s Regulation Authority (SRA). The new SRA digital badge is a symbol of trust and assurance as only regulated firms are able and allowed to display this. The badge will verify to online users that the Firm is regulated and provide a link to information on the protections this provides. Ajmal Hussain of HUSANES LLP is also a member of the Chartered Institute of Arbitrators. The Firm recognises the growing importance of Alternative Dispute Resolution (ADR) of which arbitration and mediation play an important role. HUSANES LLP is developing a strong working relationship with fellow arbitrators from across the globe. If you are involved in a dispute, whether in the UK or elsewhere, please contact us to see how we may assist. HUSANES LLP collects client feedback through an independent third party review website for professionals. In the early years of VouchedFor, Ajmal has consistently appeared in national papers under listings of highly rated solicitors – based on real life feedback from verified clients. Most of the client feedback appearing on this website are from the VouchedFor scheme.